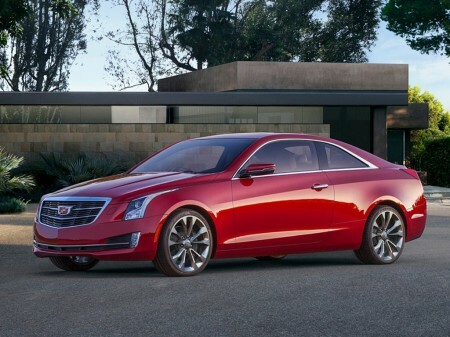 Cadillac have unveiled their latest creation, the new ATS Coupe at the 2014 Detroit Auto Show. It might have two doors but the 2015 ATS Coupe will be as long as the sedan. Looking at the exterior, the front fascia of the ATS Coupe is slightly different from the sedan. It features a new front bumper and a refreshed grille. It will also be the brand’s first production model to wear their new wreath-less logo. Interior will have lots of leather wrapped around aluminium, carbon-fiber or wood panels. Inside the cockpit, options include navigation, Wi-Fi and their CUE infotainment system with an 8-inch display. Safety systems are plenty such as the forward collision alert, lane departure warning, lane keep assist and adaptive cruise control. Under the hood, customers can opt for either a turbocharged 2.0L 4-cylinder engine which produces 272 bhp and 295 lb-ft of torque, or a 3.6L V6 unit which makes 321 bhp and 275 lb-ft of torque. Both engines are mated with a 6-speed automatic transmission, but a 6-speed manual is optional. RWD setup is standard, but AWD is available as well. The car comes with perfect 50/50 weight distribution as well as Brembo brakes to keep the power in check. To further improve performance, there is an optional sports package which adds an adjustable sport suspension, Magnetic Ride Control, a limited-slip differential, a high-performance cooling system and 18-inch alloy wheels with summer performance tires.